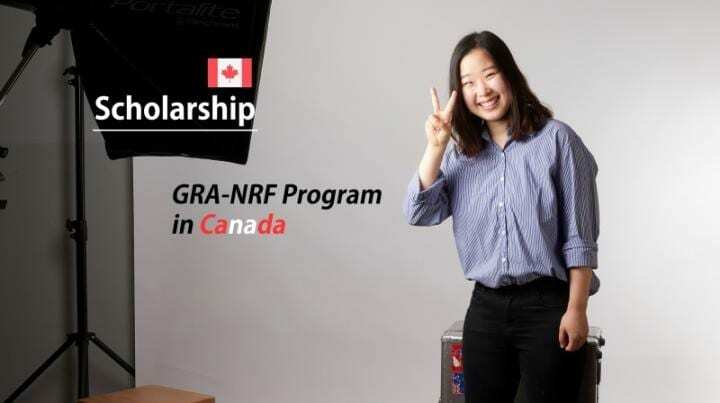 DoYeon Kim, a graduate student in the School of Urban Environmental Engineering at UNIST has been selected to partake in the "GRA-NRF Program in Canada". Jointly organized by the National Research Foundation of Korea (NRF) and Mitacs Canada Inc., this program is a part of the Korea-Canada researcher exchange agreement, which facilitates research activities and provides a chance of overseas studies among researchers. As part of this program, Ms. Kim will be performing co-research on the impacts of Artic climate change on Earth with Professor Timothy Merilis at McGill University in Canada, until January of next year. Arctic warming is a phenomenon in which Arctic air temperatures are rising at more than twice the rate of the rest of the world. "Despite global warming, many people wonder why many contries throughout the world suffer from waved of cold weather," says Ms. Kim. "Latest studies explain this in terms of Arctic warming and the changes in the usual patterns of the jet stream." She adds, "Cold air outbreaks in the midlatitudes are said to be connected to Artic warming, which means that changes in the Arctic climate could affect the climate in the rest of the world." Ms. Kim, who is currently enrolled in her 5th semester of the Ph.D. degree program, has been pursuing her studies on the "Impact of Climate Change on Arctic Warming". In addition, she has carried out various model experiments to show the degree of Arctic warming based on the variations in the amount of solar radiation, as well as the causes of Arctic warming. Much of her studies have been carried out via a realistic computer simulation model, known as 'Earth System Modeling', as it is impossible to directly perform the experiments on Earth. "In earth system, various elements work together as a complex whole, and therefore it becomes much more difficult to reveal certain laws of physics," says Ms. Kim. "Experiments that suggest idealized climate models, while adjusting variables, help us understand the dynamics of uncertain climate conditions." Canada takes an active part in Arctic research. Professor Mullis, who is a world-renowned expert in climate dynamics, is currently working to tackle the causes and effects of Arctic climate change, using idealized climate model simulations. "My love of Earth Science led me to an interest in Arctic warming research," says Ms. Kim. "I want to work in the field where I can contribute to future earth."